To this end, the "Securities Daily" reporter screened out 25 public funds with equity funds of more than 10 billion yuan, observe thesefund companyThe list of awkward stocks at the end of the fourth quarter of last year. 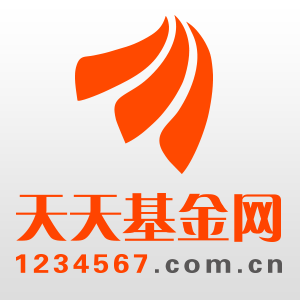 It is found that the white horse stocks with stable performance and stock prices are still the main targets of these fund companies.Ping AnThen they boarded the list of awkward stocks of 19 fund companies.Guizhou MaotaiRanked second, appearing in the list of the top ten awkward positions of 15 fund companies. Monetary FundAfter the rise, the ranks of fund companies' management scale have changed. The fund companies such as Tianhong Fund have become the head companies of the public fund industry by virtue of the huge scale of money funds. The old fund companies are not to be outdone, using their powerful Brand advantage further lays out its product line; as a rising star in the public fund industry,bankDepartment fund company quickly deployedBond fundAnd the money fund, the scale of expansion is staggering. In this regard, the "Securities Daily" reporter combed the scale of the equity funds of 132 fund companies in the public fund industry (only those who have open-end fund products). Statistics found that if ordinaryEquity fundPartial stockHybrid fundThe three types of funds combined with flexible configuration funds are regarded as equity funds. According to the fund size at the end of the fourth quarter of last year, there are 25 fund companies with equity funds exceeding 10 billion yuan in the public fund market. Specifically, there are 9 fund companies that are “old ten” public offerings, respectivelyGuotai Fund,Southern fund,Huaxia Fund,Huaan Fund,Boss Fund,Penghua Fund,Harvest Fund,Dacheng FundwithRich country fundThe other 16 fund companies are E Funds,Huitianfu Fund,GF Fund,Huatai Bairui Fund, China Merchants Fund,ICBC Credit Suisse Fund,InvescoGreat Wall Fund, China Europe Fund, Xingquan Fund, Yinhua Fund,Bank of Communications Schroder Fund, investing in Morgan Fund,Jianxin Fund, Rongtong Fund, Bank of China Fund and Warburg Fund. Public offerings set off ETF toll storms The time has come for price wars? Boiling! These funds have a net worth of more than 20% in 23 days. The most cattle grade B earns 83%! Recently, the fund has returned a lot of money. Do you want to redeem it? China Mobile purchases 10 billion optical cables to prepare for 5G. A number of A-share companies have participated in the bidding. Huang Guangyu's date of imprisonment is approaching. Mother is leaving the legal representative of Gome.